Due to the increasing popularity of draught beer, the old cellars were inadequate. A new racking plant was built on an adjacent site, with beer being delivered via a pipe line from the old brewery building. The single storey building is closely tailored to the special requirements of the racking process. It is simple, unified and rectangular, both in plan and section, with carefully refined details and proportions. Its concrete floor is raised off the ground on short columns to protect it from the occasional flooding of the river Linnet nearby. This also brings it level with the lorries' tailgate, assisting the loading and unloading of the beer casks. 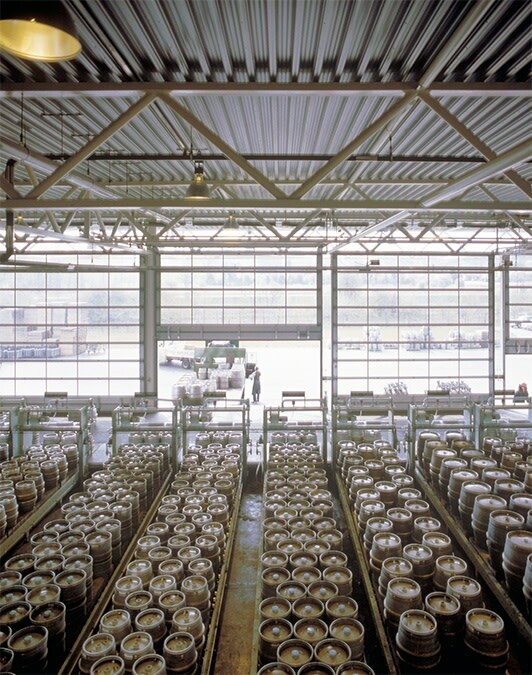 The function of the building is to receive empty beer casks for cleaning, filling and storing for delivery. 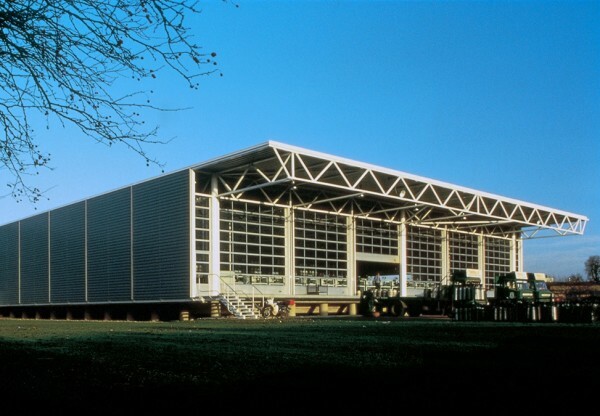 A steel superstructure of lattice trusses on three rows of tubular columns supports a flat roof, which cantilevers out to shelter the loading bays at either end. 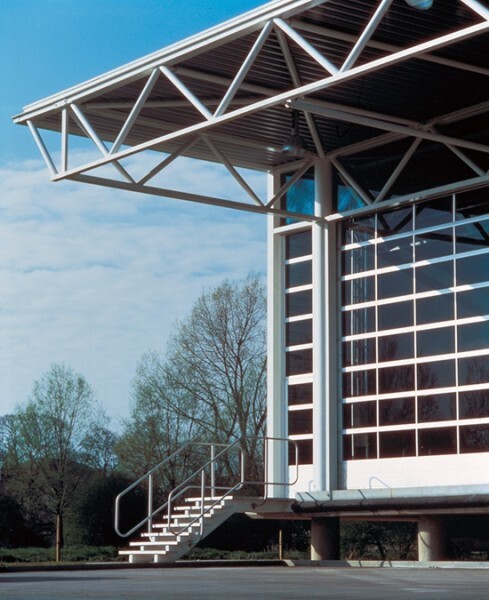 Side walls are clad in silver PVC2-coated profiled steel cladding, divided into bays. The end walls consist of glazed roller shutters, opening onto the loading bays, with pass doors at either end. Internally, small freestanding enclosures house ancillary functions such as mess rooms, toilets, offices, workshops and plant.